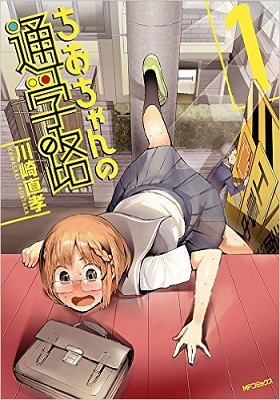 Chio-chan is a gamer and a high school girl who gets into some interesting predicaments on her way to school. For instance, she was once running late for class due to staying up all night playing a game like Assassin's Creed, and her usual route was blocked. Prompted by the previous night's gaming, she decided to take to the rooftops, a strategy that does not work quite as well in real life! She also faces more mundane difficulties, like awkwardness in interacting with a friendly acquaintance met by chance on the way to school. Join Chio on her funny and unusual daily journeys to get from home to school on time! Inukai Kirara is two months behind on her rent, though the elderly man who is the apartment landlord has just been kindly letting things slide. One day, the old landlord's granddaughter, Kitakaze Ruru, shows up in Kirara's room to tell her that he is hospitalized, and that she's going to be taking care of all the back rent. Apparently, the old landlord's goal was to create a love comedy harem, and so he had let many of the inhabitants fall far behind in rent. Ruru is determined that she is going to get these messy and unruly tenants in line! This week seems more lighthearted than usual, at least in the manga I've read. Chio-chan no Tsuugakuro was surprisingly funny, and I'm curious to see how much more weird stuff could happen on the way to school. 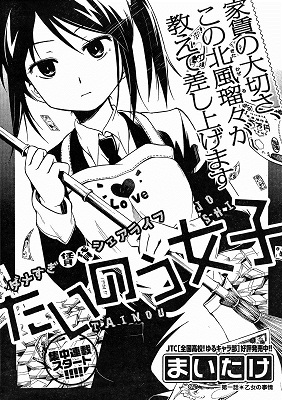 Tainou Joshi focuses on an older cast of irresponsible women, and I believe it is finished at 4 chapters. Nakahara-kun no Kahogo na Imouto is a 4koma about an overprotective little sister--not really my style of comedy but it was pretty cute and innocent as far as I read. Nakahara-kun no Kahogo na Imouto - If you like manga depicting overbearing sisters that are a bit too invested in their brothers, then you may like this one instead. 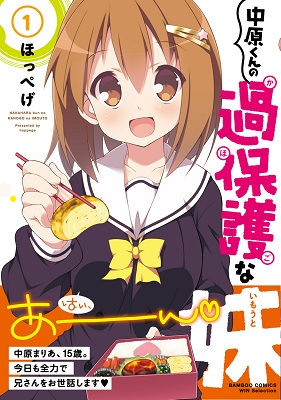 Tainou Joshi - However, if you want a silly comedy filled with lots of girls (and a short series with only 4 chapters), then you may like this series. If you haven't done so already, check out the scanlations of the manga from previous shout outs which have been recently scanlated: dramatic fantasy Saraba, Yasashii Yuuzuru (MH link), sci-fi action No Guns Life (MH link).